You’ve made the decision to eat more healthfully — now what? What foods should you have in your fridge? How do you know what basic groceries you’ll need to prepare healthy meals and stick to your nutrition goals? Grocery shopping can be overwhelming as it is — according to the Food Marketing Institute, the average supermarket has around 30,000 items to choose from — so we asked nutrition experts to explain the best methods for coming up with a basic grocery list of healthy staples you should always have on hand in your kitchen. 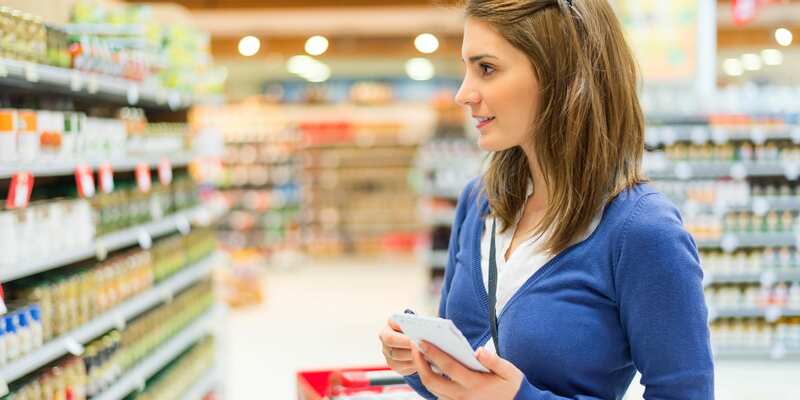 “It’s always best to go to the grocery store with a basic grocery list in hand — this can help prevent impulse buys and keep you on budget,” says Krista Maguire, RD, CSSD and Nutrition Manager for OpenFit. The good news? Once you take the time to nail down a good basic grocery list, it’ll only take only a few minutes to figure out what you need on future shopping trips. “I find the best way to go about building a healthy grocery list is to plan out your meals for the week,” adds Maguire. “When you have an idea of what you’ll be eating, you’ll know exactly what you need to buy.” Use the basic grocery list below as your baseline, then add whatever additional ingredients you’ll need for any healthy recipes you plan to try this week. Most recipes yield multiple servings, so if you live alone, plan on using the leftovers as meal prep. For example, say you want to make spaghetti with spinach and ground turkey: “You’ll likely buy one box of pasta, one package of ground turkey, one jar of pasta sauce, and one bunch of spinach,” says Maleah Staton, RD. That’ll yield enough food to cover 4 to 6 of your meals for the week. It’s expensive to eat healthy—or is it? Healthy food has a reputation for being a wallet buster, but you can eat well on a budget if you plan ahead. Bulk foods are usually more affordable than pre-packaged foods, so Maguire recommends buying pantry staples like grains, beans, nuts, and spices in bulk. And don’t pay for the convenience of pre-chopped fruits, veggies, and salad mixes. “Sticking to whole foods instead of packaged items is a great way to lighten the total grocery bill,” Maguire says. It may take some extra time to prep your foods, but your wallet will thank you. There are certain healthy foods you should always keep on hand, so they’re there when you need a snack or a last-minute healthy meal. And make sure you always have the ingredients you need to make the healthy treats you (and your taste buds) love. “Some staples I find myself always buying include oatmeal, bananas, almond milk, nut butter, walnuts, eggs, avocado, and sprouted bread,” says Maguire. Here are the healthy staples you need. Spices can really amp up the flavor in healthy dishes without adding calories or sugar. “I love using basil in Asian or Italian dishes and cilantro, curry, and cumin in Mexican or Indian dishes,” says Staton.